Summer Bucket List - Round up! Summer is over... and round here you can tell. The sun has well and truly packed up his hat and gone off to find a nicer place to play. Jack's at school on Monday and Tom starts nursery a week from Wednesday. 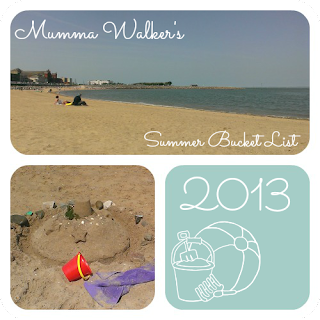 So how did we do with the Summer Bucket List? Pretty damn well actually! Check it out! Hen Blas working farm & play zone <-- Closed! Went to Foel Park Farm instead. Awesome! France to Visit Papee & Mamee <-- DONE! Uncle Bob & Aunty Rach's Wedding <-- DONE! Donkey rides on the beach <-- Missed, but rode Ponies in Wales instead!! The Orchard & Fairfield Park <-- DONE! Happy Mount Park <-- DONE! Old Holly Farm <-- DONE!